Apple isn’t doing as well as it could in China. Why? The chairman of China’s tech giant Lenovo thinks it’s largely down to Steve Jobs himself, as the killer quote in the Financial Times article which is the source of this discussion reveals: “We are lucky that Steve Jobs has such a bad temper and doesn’t care about China. If Apple were to spend the same effort on the Chinese consumer as we do, we would be in trouble.” Many other pieces of analysis of Apple have centered on Steve Jobs as either a visionary leader, or the cultish-figure at the heart of a dictatorship, and it seems that Lenovo’s Liu Chuanzhi has an opinion somewhere in the middle. 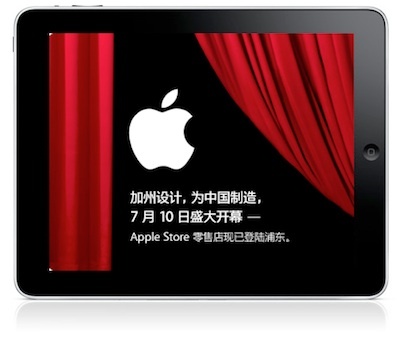 So why hasn’t Apple really made a dent in the Chinese markets with the iPhone and the other iDevices? The early efforts at getting the iPhone 3G into China were hampered on two technical fronts: China’s proprietary 3G standard WD-CDMA protocol and its ban on non-Chinese-format Wi-Fi devices. This meant much of the iPhone’s guts would have to be re-engineered to run on the Chinese networks. Other 3G phone makers complied with the law and engineering issues, and launched smartphones for China–big players like RIM for example. But Apple’s “one size fits all” philosophy dictates that each edition of the iPhone is identical inside no matter which market it’s sold into. This simplifies Apple’s production line management and costs, and it means that post-sales support in the form of OS updates and bug-fixes are simple to implement everywhere. But it also means Apple won’t bend to meet Chinese demands, or even those of Verizon in the U.S.–with it’s own strange atypical 3G standard. That’s why it’s taken so long for Apple to produce a Verizon-version iPhone (rumors seem to be really suggesting it’s true now). And that’s why it took so long to produce the “China Brick” iPhone with compatible 3G chipsets and a shocking, $1,000 price tag. And while Apple’s credited with smashing many of the older, entrenched business models of the U.S. cell phone industry, they evidently couldn’t pull off the same trick in China. The App Store was apparently a serious issue, since China’s biggest network was angling for a share of the profits Apple would be achieving from post-hardware sale sales. These factors may be why Apple had to go with the second-rate network, China Unicom. So is it fair to say Job’s “bad temper” is in play here? No. Apple’s business model is working–it’s just become the biggest tech-firm in the U.S., and you don’t achieve that accolade without doing something very well. And the 25 stores slated for opening in the next year or two in China will create extra visibility for the genuine Apple articles in a market where near-clone illegal knock-offs are extremely common. Lenovo’s boss is also probably running scared, as Apple’s busy eroding the very markets that Lenovo’s business rests on–laptops–with its smartphones and tablet PCs. Jobs may be bad-tempered, but he’s also behind some very good products that threaten to unseat Lenovo in the market.